I’ve been reading Steven Pressfield’s “Gates of Fire” lately. It’s the story of King Leonidas and the 300 Spartans that sacrificed their lives defending a mountain pass from thousands of invaders. 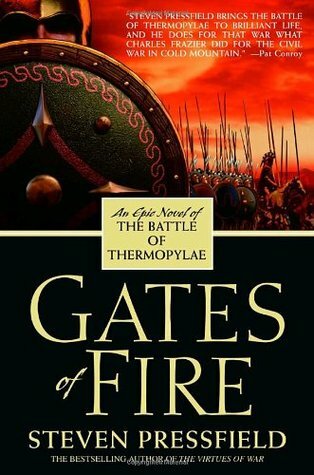 The story of Thermopylae; a story of courage, bravery and honor. They willingly embraced their fate in order to give all of Greece more time to prepare for the onslaught. They had a code as Warriors. They lived with it daily and ultimately died with it. The world around us is as unsettled as any time I can remember. I grew up in the 60’s and 70’s. I remember some of the Viet Nam war protests. I remember some of the civil rights marches. Whether you agreed with them back then, one had to admire their courage. Blacks were risking their lives for equality. Young people, with a military draft possibility hanging over their heads, were in danger of being sent to war in Southeast Asia. These folks had skin in the game. The risks they faced earned them the right to protest. I don’t see this in today’s protesters. Alt Right, ANTIFA, KKK, Nazi’s (wait, when the heck did we get those jackasses back? ), Alt Left… the list goes on. For you Game of a Thrones fans, this is like the battle of the Five Kings and Winter is coming. Winter today appears to me to be Islam. Times are turbulent. How’s a man to protect his family? Give them the safety they need to live care free? By being their family’s sword and shield. Being the Warrior, calm and steady; a man of honor in a time when honor doesn’t seem to be part of many men’s lives. Warriors must train and prepare. There is a reason to lift weights and eat a healthy diet. One day, I will need a sudden burst of explosive strength. I have to be ready. The battle doesn’t wait for you to pick the time and place. It forces itself upon you in the most violent way, most often with the element of surprise. For my girl to live freely, for her to be able to embrace her submission, she needs to feel my protection. This is not just physical but emotional as well. If I don’t lead, she is lost, afraid and panicky. She has confidence that no matter what, I am able to guide us through the obstacles life puts in our path. The Vanilla world creeps in with family drama, medical issues, job stress, etc. But we come through it all in one piece. Nothing gets between us. She feels safe. I believe as men, we have someone somewhere we look up to and subconsciously try to emulate. Be it a mentor, a historical figure, a father… someone. I think of King Leonidas and his 300. Honor, courage, bravery… yeah that’s how I wish to be remembered. I am my girl’s Warrior. Good post, ST. That’s one of my favorite inspirational events, like the Alamo and other underdog scenarios. But the lifetime of preparation that used to be tradition in order to become men has constantly been chipped away. Society no longer values the rugged individualists anymore. But I was raised in an all male household (my mother skipped out) and went into the military at 17, and joined an elite group where I was eventually wounded. But the confidence and leadership built in the military, along with two other physically and mentally challenging careers, has served me well in the D/s world: both with my late wife, and my present mate, kat. I had a great…grandfather die in the Alamo. Hopefully that DNA has not gotten too watered down as it got to me.